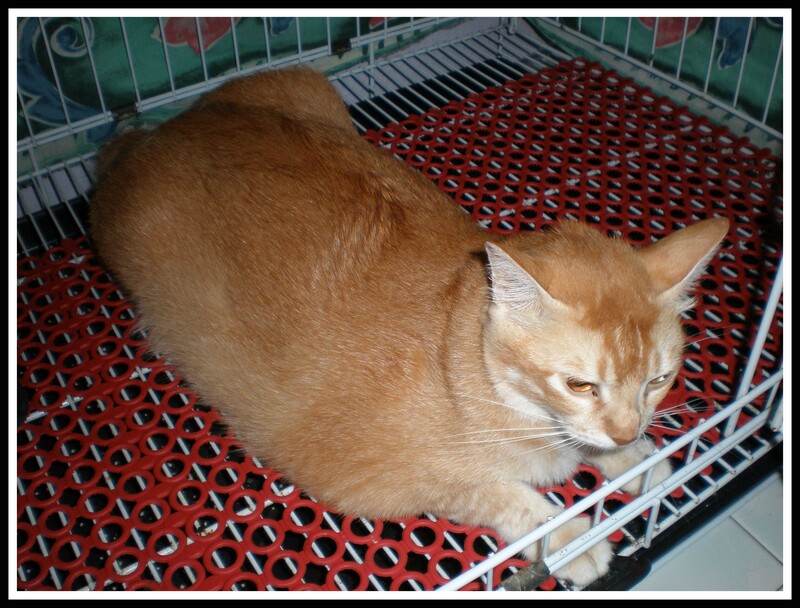 I took Momoy home on 11 Nov 2008, 2 days after she had been spayed. Actually that day, i was supposed to help the vet feeding her medicine. Since no one dare to touch her and the vet couldn’t inspect her stitches or clean her, so i brought her home. At home, i realised that she wasn’t eating at all. She wasn’t eating since the surgery! And she was vomited almost everyday. She couldn’t eat at all. So on 13 Nov, i took her to the vet again. We were at the vet’s place for almost 2 hours. She was given 250ml IV fluid and force-feed. Before fed her, the vet gave a tablet to stop her from vomit. On the same day, the vet told me Momoy got a jaundice. The eyes and gum looked yellowish and pale. 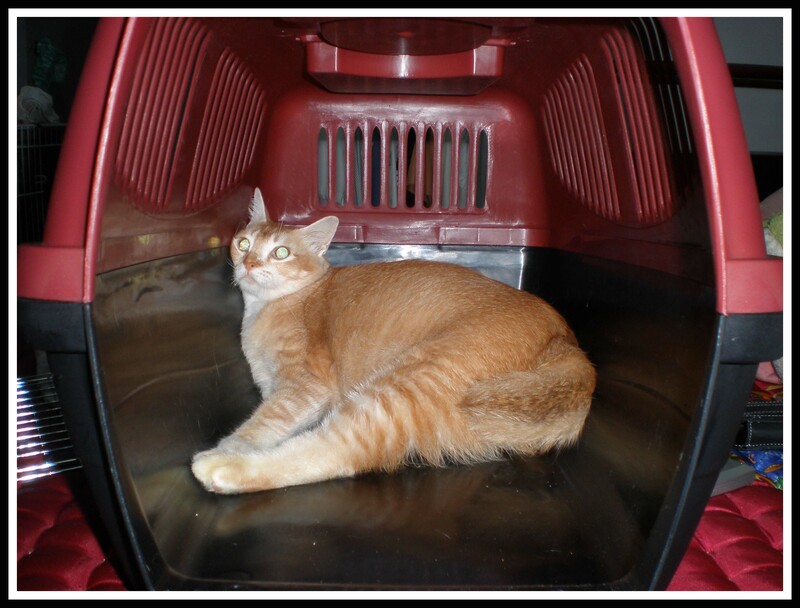 According to the vet, the pus had entered her liver and caused the jaundice. And since she wasn’t vaccined, it is easy for her to get the jaundice. The vet said this can be cured, but takes some days. Momoy had to take additional medicine to cure the jaundice. At the same night, i notice there was a flabby part near her right front leg. Can u see the flabby part in this photo? I asked the vet to comfirm. 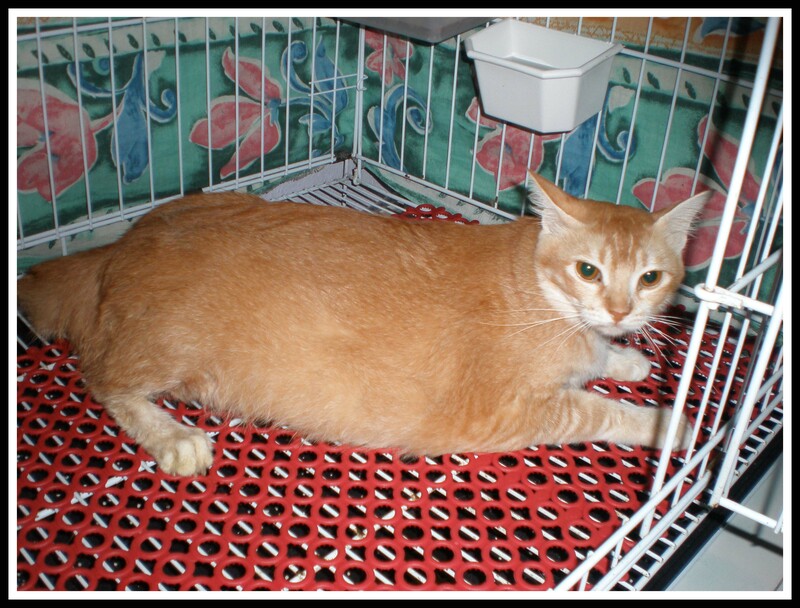 The vet said it is normal for the cat to looks flabby a bit after given IV fluid. She passed stool on Saturday morning, 15 Nov, 5 days after the surgery. 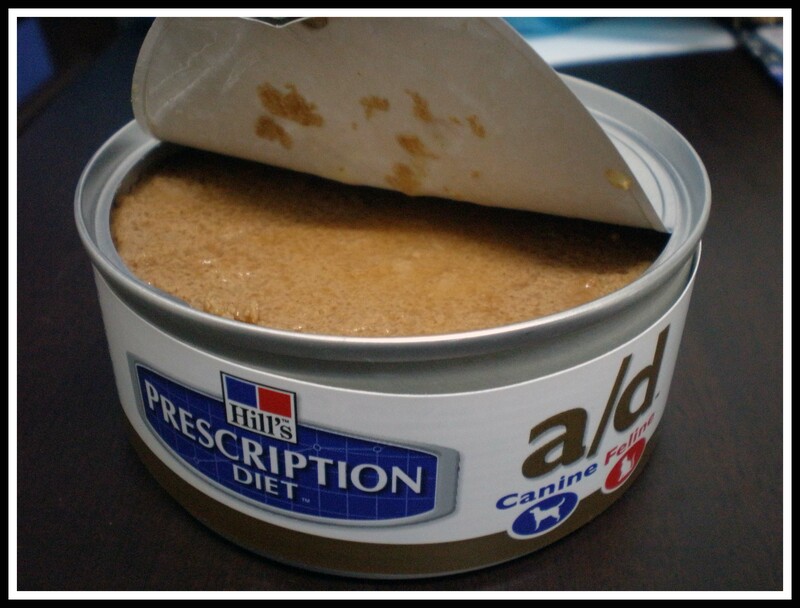 I feed Momoy with Hill’s Prescription Diet, 3 times a day. 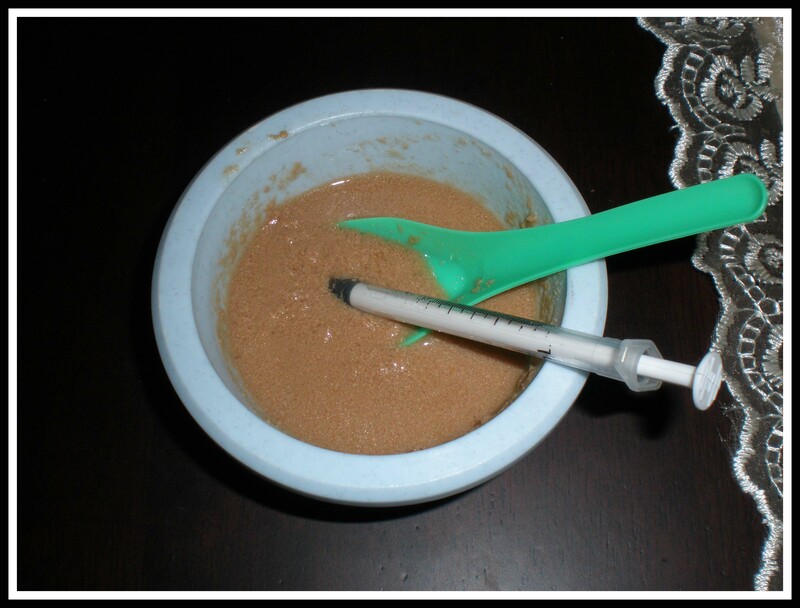 I mix it with plain water before pump it into Momoy's mouth. Today is the 10th days after the surgery. She is still weak, but a bit alert compared to a few days before. Hope she can get well and can eat by herself soon..
Poor girl.. it’s good to hear she’s getting better. We’ll pray she gets back to her old self in no time! 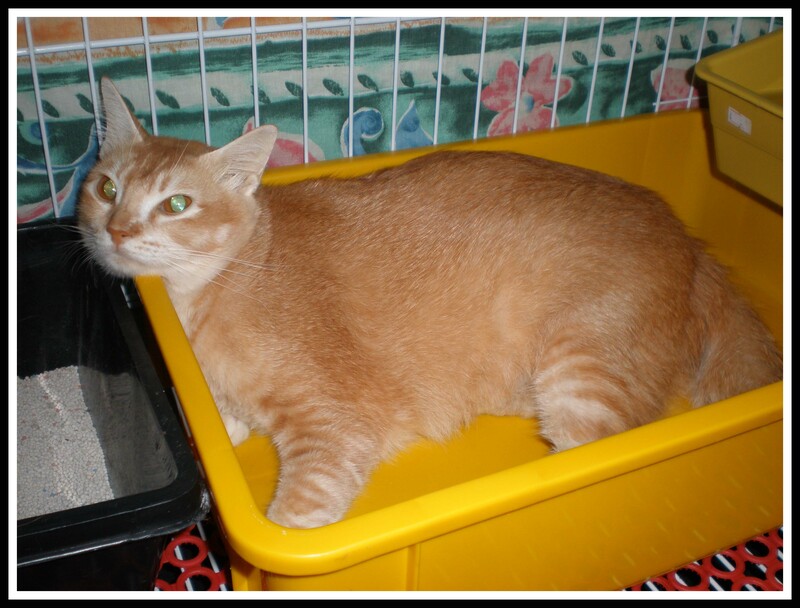 Ohhhh, we’re glad that Momoy is doing better, but we’re sorry she has had such a bad time! Good luck to you both! I know momoy is not longer here. and i bet its a very hard moment for you to blog about it. I understand. I prayer goes to a Cat That Will Always Be In Heaven.